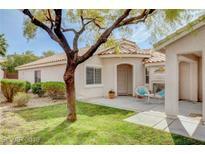 Below you can view all the homes for sale in the Sunridge Summit Manor subdivision located in Henderson Nevada. Listings in Sunridge Summit Manor are updated daily from data we receive from the Las Vegas multiple listing service. To learn more about any of these homes or to receive custom notifications when a new property is listed for sale in Sunridge Summit Manor, give us a call at 702-323-5903. Zoned For Some Of The Valley's Best Schools! MLS#2085770. Hoopes Team Realty, Inc. The main house has 3 bedrooms and two baths with the separate casita adding another bedroom or office with its own full bath. MLS#2082981. Simply Vegas. The master can be your own private getaway with spa like master bathroom/ 2nd floor boast of game room and double master. PERFECT 1 STORY SOLUTION MLS#2081081. Platinum R.E. Professionals. The property is currently occupied by a tenant with monthly rent of $1700.00 MLS#2044748. Zenith Realty Group. fireplace in Living room , huge laundry rm upstairs, large master bedroom with sitting area, walk in closet, custom window casing thru out. MLS#2018971. Golden River Realty.